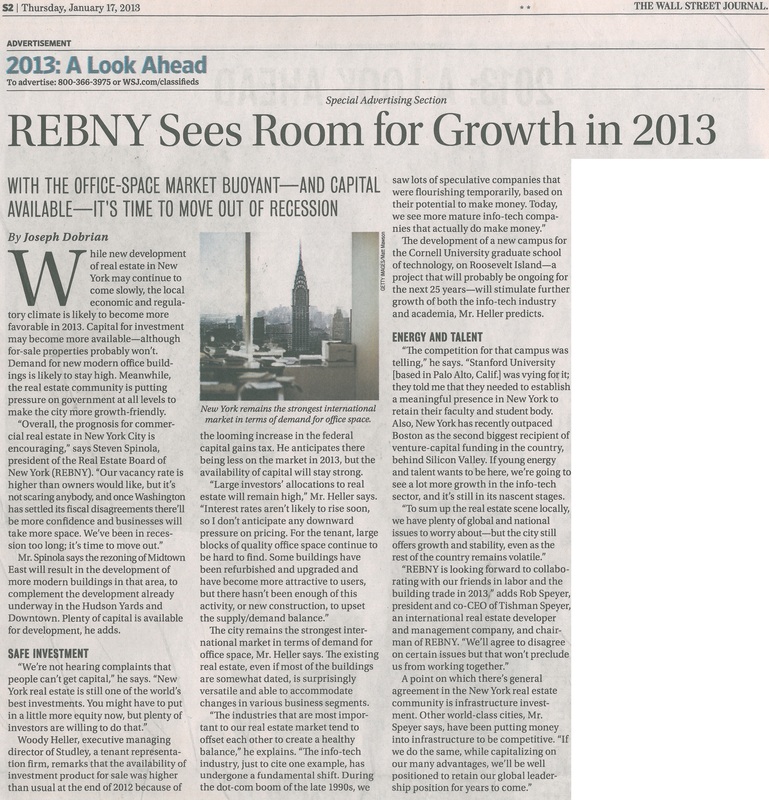 In a Wall Street Journal special section, on January 17, 2013, new REBNY Chairman Rob Speyer called for the real estate industry to collaborate with organized labor on issues of mutual interest. He also stressed that New York needs to invest sufficient capital in infrastructure in order to retain its global leadership position. To read more, please see the article attached.